Lake Tennyson Scenic Reserve near the head of the Clarence River, inland Marlborough, with people camping on the shoreline. Crimea Range beyond. 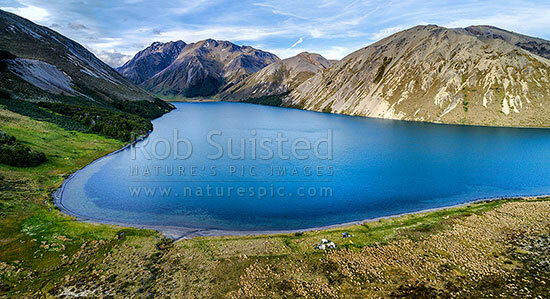 Aerial panorama, Molesworth Station, Hurunui District, Canterbury Region, New Zealand (NZ), stock photo.